A unique opportunity to race on Gloucestershire Airport’s runway. The measured course of 1 mile is floodlit and gives you a running experience unlike any other. Click Link for further details. 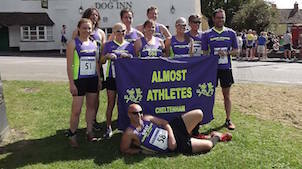 And please look on Almost Athletes Facebook page for race photos.